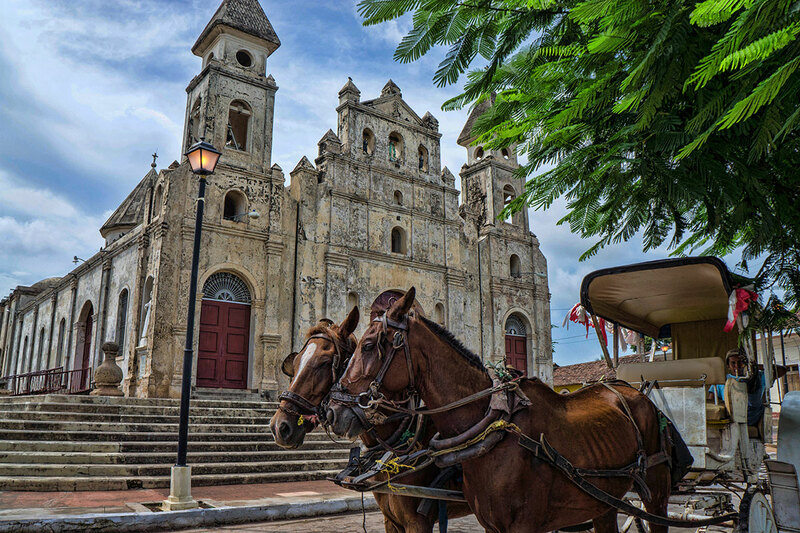 A horse carriage is parked in front of the Guadalupe Church in one of Central America’s oldest European-founded cities – Granada, Nicaragua. The church was built in 1626, and damaged by pirate attacks before being restored in 1965. Horse buggies are quite popular throughout the city, complimenting the old colonial streets and buildings well. It is quite easy to imagine what it looked like hundreds of years ago. Are you still in Nicaragua? If yes, until when are you staying? No, already left – but I’ll be back for sure! Love this photo. Havent been to Nicaragua yet but its very high on the list!